Sylvestre, Paul-françois. "Franco-Ontarians". The Canadian Encyclopedia, 20 March 2018, Historica Canada. https://www.thecanadianencyclopedia.ca/en/article/franco-ontarians. Accessed 21 April 2019. The French-speaking presence in Ontario dates back to the French Regime (1610). It was strong in Upper Canada (1791) and during Confederation (1867), and it grew steadily throughout the 20th century. The French-speaking presence in Ontario dates back to the French Regime (1610). It was strong in Upper Canada (1791) and during Confederation (1867), and it grew steadily throughout the 20th century. The French language has always played a historic and honourable role in Ontario. The term “Franco-Ontarian” is a synonym for “French Canadian.” Coined in 1937, the term only came into mainstream use in the 1970s. Franco-Ontarians are Canadians who live in Ontario and speak French at home. The 2011 Census recorded 611,500 Franco-Ontarians (4.9 per cent of the provincial population). Of these, 42.2 per cent live in Eastern Ontario; 30 per cent in Central Ontario; 20.8 per cent in the Northeast; 5.7 per cent in Southwestern Ontario; and 1.2 per cent in the Northwest. The French-speaking community is on average older than the overall population of Ontario (44 years of age compared with 40.1), and the median age is highest in the Northwest and Southwest (52.1 and 50.8 years respectively). In all regions except the Northwest, women form the majority (between 51.7 per cent and 53.9 per cent of the population). The French first settled in Ontario during the French Regime (roughly 1534–1763). 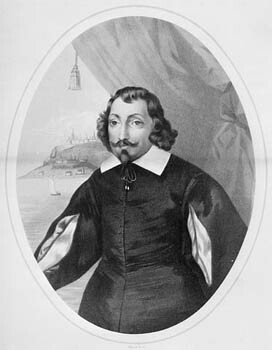 In 1610, Étienne Brûlé, sent on a reconnaissance mission by Samuel de Champlain, was the first European to set foot in what is now Ontario. French soldiers were garrisoned at Fort Frontenac (Kingston) in 1673, at Fort Conti (Fort Niagara) in 1673, at Fort de Buade (Fort Michilimackinac) in 1683, at Fort Pontchartrain (Detroit–Windsor) in 1701, and at Fort Rouillé (Toronto) in 1750. Coureurs des bois and voyageurs traveled the province, while Jesuit missionaries evangelized in Huronia. 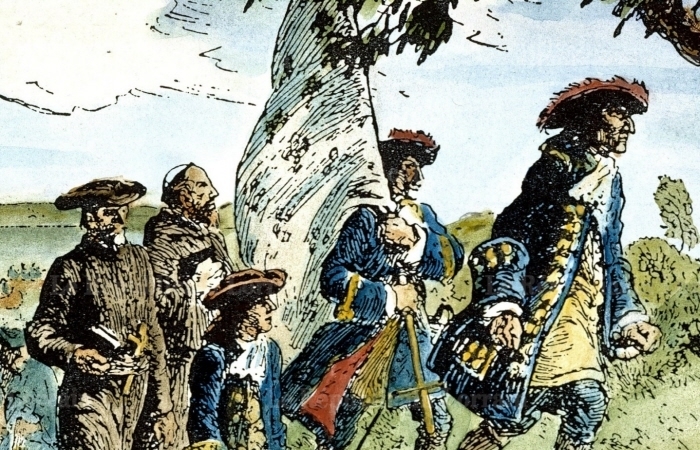 Eight missionaries were captured and killed by the Iroquois between 1642 and 1649. Known as the Canadian Martyrs, they were canonized by Pope Pius XI in 1930. When Antoine Laumet, known as "Lamothe Cadillac," founded Fort Pontchartrain, people settled and cleared land on the south bank of the Detroit River. The first permanent colony in Ontario, it was home to the first parish (1767) and the first school (1786), both French. Ontario’s French-speaking population did not increase significantly until the 1840s, when Québec farmers searching for fertile land settled in Eastern Ontario. In the late 19th century, nickel was discovered in Sudbury and gold in Timmins during construction of the railway, drawing many French Canadians to Northern Ontario. Between 1861 and 1901, Toronto’s French-speaking population grew from 500 to 3,000. The Alliance française de Toronto was founded in 1902, giving rise to a French and Acadian press (Toronto Presse in 1955, Les Nouvelles françaises de Toronto in 1958, Courrier Sud in 1973, Toronto Express in 1976, and Acadianité in 1984). In 1920, a pulp and paper mill was established in Kapuskasing and a sawmill in Hearst, attracting many French Canadians. The mid-20th century saw rapid development of the automotive industry in Windsor and Oshawa, bringing an influx of francophones. In 1969, the Ontario government recognized French as an official language in high schools, and in 1984 it passed the Courts of Justice Act, which gave French official language status.In 1986, the Legislative Assembly passed the French Language Services Act. Although Ontario is not officially bilingual (see Bilingualism), its open policies attract a large number of French speakers. At the end of the 20th century, only three in five Franco-Ontarians were born in the province and 14 per cent were born outside Canada. Almost 22 per cent of French-speaking immigrants to Ontario arrived there between 2001 and 2006, and 10 per cent said they belonged to a visible minority. According to the 2006 Census, 36.7 per cent of French-speaking immigrants to Ontario were from Europe, 25.4 per cent from Africa, 12.4 per cent from Asia, 11.1 per cent from the Middle East, 7.1 per cent from the Caribbean, and 4 per cent from Central and South America. The Toronto–Niagara region had the highest number of French speakers born outside Canada. French-speaking Ontario is becoming increasingly multicultural, as illustrated by the list of finalists for the prestigious Trillium Book Award in 2001: Marguerite Andersen (born in Germany, living in Toronto); Michel Thérien (Ottawa); Arash Mohtashami-Maali (born in Iran, living in Ottawa); Pierre Pelletier (born in Hull, living in Ottawa); Didier Leclair (born to Rwandan parents, living in Toronto). Ontario’s French-speaking roots extend to many regions of the world. In the fall of 2012, the Ontario government set a target of 5 per cent for Francophone immigration, a goal that, if met, will definitely contribute to the vitality of the French-speaking community. Over the years, most Franco-Ontarians have been strongly committed to recreating their traditional institutions, such as parishes, elementary and secondary schools, cooperatives, and Caisses populaires. In 1910, they founded the Association canadienne-française d’éducation de l’Ontario (which became the Assemblée de la francophonie de l’Ontario in 2006), and three years later they founded the newspaper Le Droit (Ottawa). Between 1912 and 1927, Franco-Ontarians fought desperately to keep French-language instruction in schools after Regulation 17 came into effect (see Language Policy; Ontario Schools Question). As of 1997 there were 12 French school boards (8 Catholic and 4 public) across the province. As for postsecondary education, Ontario has three French-language colleges (La Cité collégiale in the East, Collège Boréal in the North and South, and the Collège de technologie agricole et alimentaire in the Southeastern Ontario town of Alfred) and six bilingual universities ― Laurentian University (Sudbury), the University of Sudbury, the University of Ottawa, Saint Paul University (Ottawa), the Université de Hearst, and Glendon College at York University (Toronto). When Upper Canada was created in 1791, François Baby was the sole French-speaking member of the Legislative Assembly. His brother Jacques sat on the Legislative Council and the Executive Council. Franco-Ontarians have been represented in the House of Commons, in the Senate and in the Legislative Assembly of Ontario since Confederation (1867). Many have been members of a federal cabinet. Paul Martin Sr. (Windsor) was Minister of Health and Secretary of State for External Affairs. Lionel Chevrier (Cornwall) was Minister of Transport and Minister of Justice; he spearheaded construction of the St. Lawrence Seaway. Diane Marleau (Sudbury) was Minister of Health. 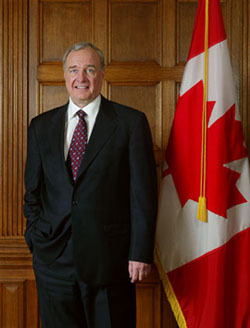 Paul Martin Jr. was Prime Minister of Canada from 2003 to 2006. Provincially, Alfred Évanturel (Alfred) was Speaker of the Legislative Assembly; Paul Leduc (Ottawa) was Minister of Mines; Louis Cécile (Tecumseh) and Fernand Guindon (Cornwall) were ministers of Tourism; René Brunelle (Cochrane) was Minister of Lands and Forests; and Bernard Grandmaître (Ottawa) was Minister of Municipal Affairs and spearheaded passage of the French Language Services Act in 1986. Religion has had a profound influence on Franco-Ontarian moral, intellectual, social and cultural development. Between 1848 and 1968, 26 communities — 6 congregations of fathers, 4 of brothers, and 16 of sisters — provided French-language education in Ontario. Between 1845 and 1984, seven communities of sisters provided healthcare services. Many Franco-Ontarians became bishops, the best-known being Joseph Charbonneau, bishop of Hearst and later archbishop of Montréal. A dozen cultural centres from Hearst to Windsor regularly host exhibitions showcasing both performing and visual artists. Ontario has seven professional theatre companies: one in Sudbury, two in Toronto and four in Ottawa. Six French-language publishing houses operate in Ontario, and many French-speaking writers have won the Trillium Book Award (Ontario) or Governor General's Literary Awards, most notably Cécile Cloutier (poet), Daniel Poliquin (novelist), Michel Ouellette (playwright), and François Paré (essayist). Each year, the Festival franco-ontarien in Ottawa, the Franco-Fête in Toronto and La Nuit sur l’étang in Sudbury welcome musicians from near and far. The group CANO and musicians Robert Paquette, Donald Poliquin and Paul Demers were the first to showcase Franco-Ontarian musical talent. The torch has now been passed to Véronic DiCaire and Damien Robitaille, among others. Between 1950 and 1980, 26 French-language newspapers were created. Today, Ottawa has the only daily newspaper, and there are weekly papers in Windsor, London, Hamilton, Toronto (two), Penetanguishene, Hawkesbury, Embrun, Clarence Creek, Ottawa, Cornwall, Sudbury and Hearst. Four Canadian Broadcasting Corporation/Société Radio-Canada radio stations — CBEF-Windsor, CJBC-Toronto, CBOF-Ottawa and CBON-Sudbury — broadcast French-language content in Ontario, as do three television channels (CBOFT, CBLFT, TFO). Private radio stations exist in Sudbury, as well as community radio in Cornwall, Ottawa, Toronto, Penetanguishene, Kapuskasing and Hearst. Franco-Ontarians have created French-language clubs, committees, centres, associations and groups in a variety of fields. They include the Fédération des femmes canadiennes-françaises (1914), the Association of Translators and Interpreters of Ontario (1920), the Union des cultivateurs franco-ontariens (1929), the Association des enseignantes et enseignants franco-ontariens (1939), the Fédération de la jeunesse franco-ontarienne (1975), the Fédération des aînés francophones de l’Ontario (1978), the Association of French-Speaking Jurists of Ontario (1980), the Association des auteures et auteurs de l’Ontario français (1988), the Association française des municipalités de l’Ontario (1989), the Association des professionnels de la chanson et de la musique (1990), the Bureau des regroupements des artistes visuels de l’Ontario (1991), the Union provinciale des minorités raciales et ethnoculturelles francophones de l’Ontario (2005), and FrancoQueer (2005), an organization that represents and defends the rights of French-speaking gay, lesbian, bisexual, transgender and gender-variant (queer) people (see Lesbian, Gay, Bisexual and Transgender Rights in Canada). 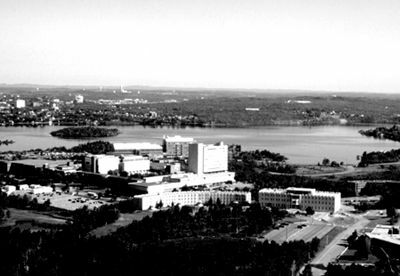 On 24 February 1997, the Mike Harris government announced its decision to close the Montfort Hospital, the only French-speaking hospital facility in Ottawa (and the only Canadian hospital to provide French-language university training west of Québec). Franco-Ontarians responded immediately and went to court to defend their language rights. On 29 November 1999, the Divisional Court of the Superior Court of Justice of Ontario ruled in favour of the plaintiffs on the grounds that the Canadian Constitution protects official language minorities. However, the Ontario government decided to appeal the ruling. On 7 December 2001, the Court of Appeal upheld the Divisional Court ruling. The government did not challenge the decision in the Supreme Court of Canada. The Montfort Hospital was saved and has since expanded, having received significant investments since 2005. Thanks to the Assemblée de la francophonie de l’Ontario, it was designated as a Group “A” university teaching hospital on 13 June 2013. The response, ensuing battle and final victory are a testament to the importance and strength of the Franco-Ontarian identity. At the start of the 21st century, two other events would reinforce the Franco-Ontarian identity. 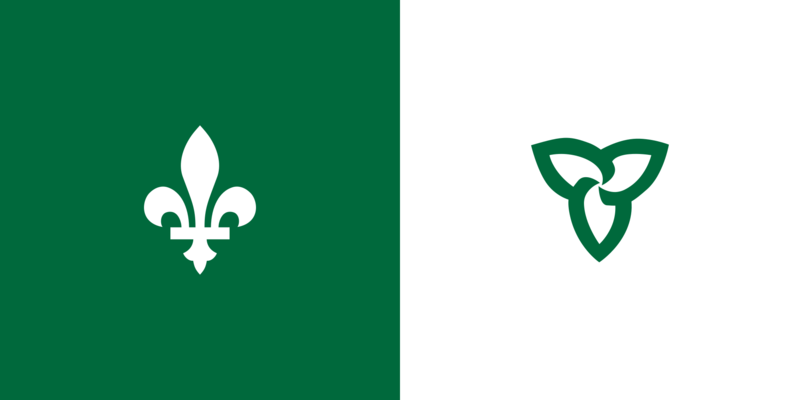 In 2001, the Franco-Ontarian flag was recognized as an official provincial emblem, and in 2009 the Province adopted a new definition of francophone to better reflect the development and diversity of Ontario’s francophone communities. It is a more inclusive definition, extending to people whose mother tongue is neither French nor English but who use French at home. This includes most new immigrants and increases the number of Franco-Ontarians to 50,000. Since 2010, 25 September is designated as Franco-Ontarian Day. Lastly, on 22 February 2016, Premier Kathleen Wynne issued an official apology, on behalf of the Government of Ontario, to Franco-Ontarians for the adoption of Regulation 17 and its harmful impact on their communities. A motion requesting the apology had been put forward by Sudbury MP Glenn Thibeault in December 2015. In Ontario, French has official language status in the Legislative Assembly, in the courts, and in educational institutions. From the Canayens of Upper Canada and the French Canadians at the start of Confederation to today’s Franco-Ontarians and new immigrants, French speakers in Ontario have always contributed to the cultural heritage of their native or adopted province. They plan to safeguard this heritage for future generations, and the preamble to the French Language Services Act proclaims this loud and clear. Robert Choquette, L’Ontario français, historique (Montréal: Éditions Études vivantes, coll. 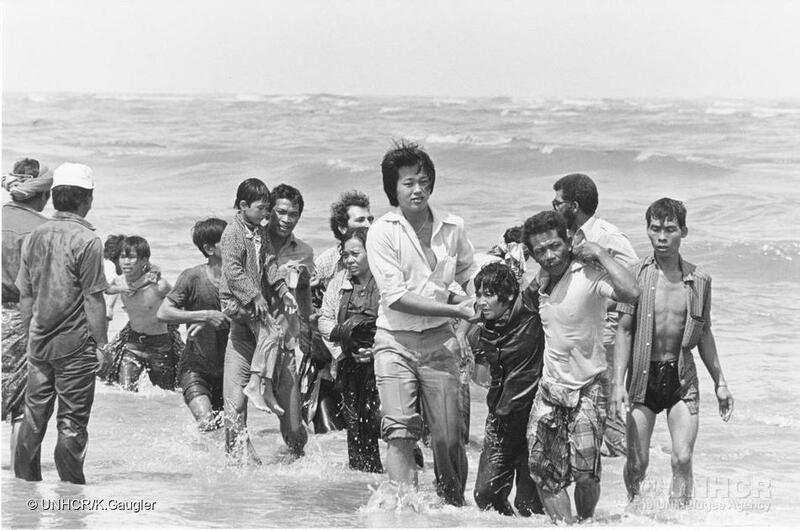 L’Ontario français, 1980). Gaétan Gervais and Michel Bock, L’Ontario français : des Pays-d’en-Haut à nos jours (Ottawa: Centre franco-ontarien de ressources pédagogiques, 2004). Michel Gratton, Montfort, la lutte d'un peuple (Ottawa: Centre Franco-Ontarien, 2003). Cornelius J. Jaenen, dir., Les Franco-Ontariens (Ottawa: University of Ottawa Press / Ontario Historical Studies Series, 1993). Paul-François Sylvestre, L’Ontario français, quatre siècles d’histoire (Ottawa: Éditions David, 2013). Paul-François Sylvestre, L’Ontario français au jour le jour : 1 384 éphémérides de 1610 à nos jours (Toronto: Éditions du Gref, coll. 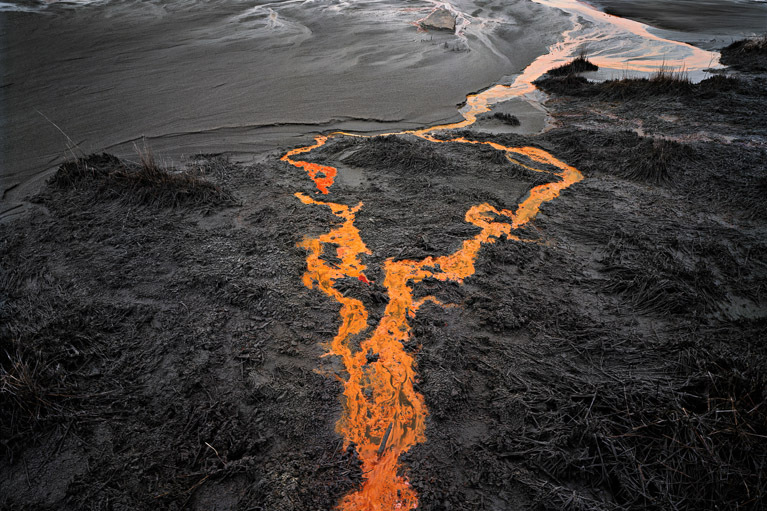 Inventaire no 4, 2003). Paul-François Sylvestre, Les Communautés religieuses en Ontario français : sur les traces de Joseph Le Caron (Montréal: Éditions Bellarmin, 1984). Clermont Trudelle and Pierre Fortier, La Paroisse du Sacré-Cœur (Toronto: Éditions La Société d’histoire de Toronto, 1987). LA PRÉSENCE FRANÇAISE EN ONTARIO Created by the Centre de recherche en civilisation canadienne-française, this site details the rich history of the French presence in Ontario. OFFICE OF FRANCOPHONE AFFAIRS Created under the French Language Services Act, the Office of Francophone Affairs works together with Ontario government ministries to ensure compliance with the Act. ENCYCLOPEDIA OF FRENCH CULTURAL HERITAGE IN NORTH AMERICA This site details the rich heritage of French-speaking communities in North America. PIS NOUS AUTRES DANS TOUT ÇA?In this 2007 NFB documentary, a young Franco-Ontarian woman asks Québec nationalists where and how Franco-Ontarians fit into their thinking. LA BATAILLE CONTRE LA FERMETURE DE L’HÔPITAL MONTFORT This Canadian Broadcasting Corporation report chronicles the story of the battle to save the Montfort Hospital and includes interviews with the key players.